Panda Antivirus has all the features you’d expect from a security suite, protecting against ransomware and other malware while also protecting your passwords and providing system tuneup options. However, it doesn’t score as highly with independent lab tests as some of our other options, and though it comes with a lot of bonus features not all of them work as well as you’d like. For the price, Panda Antivirus provides a wide variety of security suite features, including parental control, a password manager, a file shredder, and a system tuneup option. Mobile protection is also available if you buy a license which covers multiple devices, and includes an effective anti-theft system that protects your Android device, allowing you to remotely locate, lock, or wipe it. Panda Antivirus does have a lot of security features and added bonuses, but none of these work as well as their competitors. Plus, Panda Antivirus’s multi-device licenses only let you install the security suite on 1 Mac computer, no matter how many devices you can actually secure. When you add in so-so test scores and a confusing price structure, as well as a system that’s not fully integrated, Panda Antivirus needs some work before it reaches the high standards set by other security suites. Panda Antivirus got okay scores from independent test labs, receiving a 75% for Protection and Performance. Ease of Use hits in the middle, at 84%. While Panda Antivirus got higher Protection scores than some of the other antivirus suites, it doesn’t compare to our high performers. However, Panda Antivirus did get good scores for software features in a hands-on test. Currently, Panda Antivirus costs $48.99 for 1 year of protection for a single device. For 5 devices, the cost jumps to $97.99, and if you want protection for unlimited devices you’ll be paying $157.49 a year. Panda Antivirus does offer a 30-day free trial, as well as a 30-day money-back guarantee, so you can give the product a try and get a full refund if you decide it’s not for you. As we mentioned before, Panda Antivirus does come with a full suite of security features. It includes the antivirus, Wi-Fi protection, a parental control system, a backup system, a password manager, a file encryptor and shredder, and tuneup options. You also get iOS and Android support with Panda Antivirus, which has location services, anti-theft systems, and - for Android - smart control from your smartwatch. You’ll also get a simple personal firewall with Panda Antivirus, which flags any applications that are unknown to Panda’s huge program database. And, like Panda’s standalone virus, you’ll get the Rescue Kit, allowing you to create a bootable USB antivirus that can root out malware keeping your system from booting. If you have skill with technology, you can use Panda Antivirus’s Process Monitor to identify and remove suspicious processes. You can also use the virtual keyboard that’s provided with the system to enter passwords and other sensitive information, to prevent it from being captured by keyloggers. 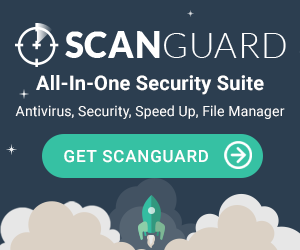 Panda Antivirus offers a simple, fairly bland interface that lets you easily scan your PC, add protection for multiple devices if you have the right license (or upgrade), access the PC Tuneup feature, and view your other products. Downloading and installing Panda Antivirus works fairly similarly to other security suites; you’ll create an account on Panda’s site and enter your activation code to start the download and installation process. Your Panda account provides some additional features, like letting you check your protected devices remotely and activate the Anti-Theft module for lost or stolen devices as necessary. Logging into your Panda account is also one of the easiest ways to reach out to their Technical Support team. Panda also has a unique feature for home users - the Panda Security Customer Loyalty Program. In essence, Panda is rewarding customers who stay with them by offering renewal discounts reaching up to 50% if you use their software for 3 years. The only catch is that you need to select the auto-renewal option when you’re buying Panda Antivirus. Panda Antivirus comes with phone support during the week, as well as web and email support. Panda also offers an FAQ with answers to most standard questions and a forum where users can consult with one another. If a customer wants more support or 24/7 support, they can opt into Panda’s “Premium Support”; however, this has an additional monthly fee on top of the cost of Panda Antivirus. So Panda’s support options are good, but they aren’t as accessible as other security suites out there. Panda Security is a Spanish multinational company focused on IT security solutions. It was established in 1998, launching the first antivirus with a daily signature file. Panda Security has patented several technologies and models, including TruPrevent, Collective Intelligence, and Adaptive Defense. Panda Security boasts over 30 million users in over 180 countries around the world, and employs over 600 people. Panda Antivirus isn’t the worst security suite available, and the price can be affordable, especially with the addition of the customer loyalty program. However, the price scaling is confusing, and the overall scores from our independent testing labs are only okay. If you’re looking for a truly strong security suite, you’d likely be better off with Kaspersky or Norton; if you want something that can protect all your devices, McAfee Antivirus Plus offers unlimited downloads. The best way to know if Panda Antivirus is best for you is to take advantage of the free trial and test it out. "I had used Panda Antivirus for about a year. I installed it when my computer became badly infested with a virus that my old antivirus software, Avast, simply could not handle. I had no choice but to reset my computer settings and try again. I did a little research, downloaded and purchased the Panda antivirus, and did a full scan. By the time it was done, two Trojans were quarantined and my computer was as good as new. I couldn't have been better pleased with the results. Since my computer is an essential part of my business, I consider it a terrific value for the money and it was simple and intuitive to run, even for a moderate tech expert like me. While I am now using a free antivirus software recommended by a friend, if I were to buy antivirus again, I would turn back to Panda." "I start with Panda Antivirus Pro and migrating to Panda Global Protection. Use antivirus on their computers, tablet and phone. Since I use it I have no problems with viruses." "Panda is easy to use, the UI is very intuitive and user friendly. The databases are updated regularly and the customer support is always quick and efficient. There is nothing scarier than having your scanner down when loads of crucial data are on the line. Scanning options are simple and described effectively for the different situations. Data Sheild is also a key feature as hackers are getting more creative by the day and it only takes one click in an email to accidentally open a file that could potentially do a lot of harm." "Panda antivirus is the best virus pro you could ever have, Iv never had a problem with it and I have been using it for over a year now. It's the best that you could ever buy." "I feel absolutely confident in Panda security . I don't worry about my pc since I have panda protecting it." "Keeps multiple devises safe. Great value for money." "a very reliable antivirus protection, very easy." "The installation was simple and the system has worked up to now and notifications of updates have been regularly received and downloaded." "It's been a good investment"
"Well, when one doesn't have to go back to complain about anything and the product keeps working according to how it should. That deserves an excellent grade." "Excellent virus software, Easy to install, Easy to run. Scan is reasonably fast and thorough." "I have had no problems with Panda Security. It does it's job like it is supposed to, as long as you have your settings in place. I often run a scan myself to see what it is doing, although I do have it set to run at a certain time also. I feel that my laptop is in safe hands with Panda and I would sign up and use them again." "Zero problems, and no additional tweaking needed! Install and enjoy the security!" "great service ! With Panda for the last 5 years." "Easy, efficient, friendly. I've been using it for years without any problem." "Excellent protection, support for the price." "I have used Panda for years. I wouldn't be without it. Great product with great support. Most importantly no issues with our computers!" "Antivirus protection for a decent price. I've been a satisfied customer for several years now. Not a bad investment." "excellent product for data security"
"I have been using Panda A/V since about 1997 and have found it the best for my purposes. Very thorough and easy to install & use. Updates to the "PAV" file are regular and unobtrusive. The application covers 3 PC's for one year [one being in Colorado and 2 in Florida]."